Enjoy Cleaning your face and eyes with fluff'n'white balls and fell the real softness of cotton.Based on their excellent absorbent properties, Fluff'n'white balls are ideal for make-up, and nail polish removal. 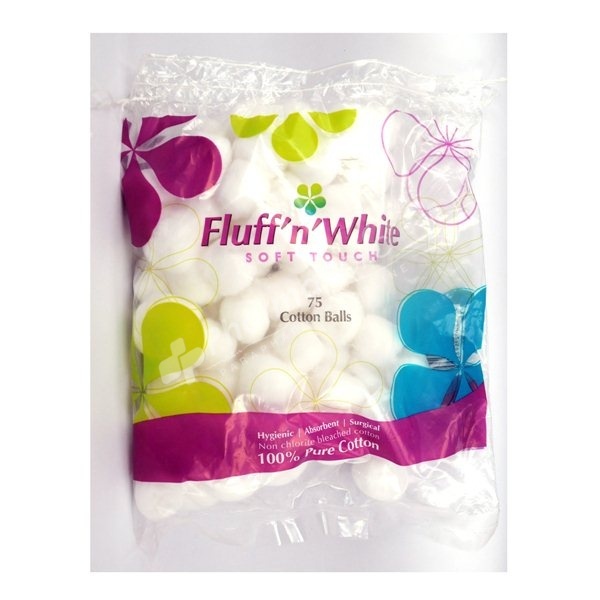 Enjoy Cleaning your face and eyes with fluff'n'white balls and fell the real softness of cotton. Based on their excellent absorbent properties, Fluff'n'white balls are ideal for make-up, and nail polish removal. Please keep this bag away from children. Flammable.